Let's face it: at this point, Google TV is a certified flop. For all its good points, its adoption was hampered by expensive hardware, limited apps, and a clunky interface. Google is hoping to revive their set-top plans with "Android TV," an as-yet unverified platform revealed by The Verge last month. 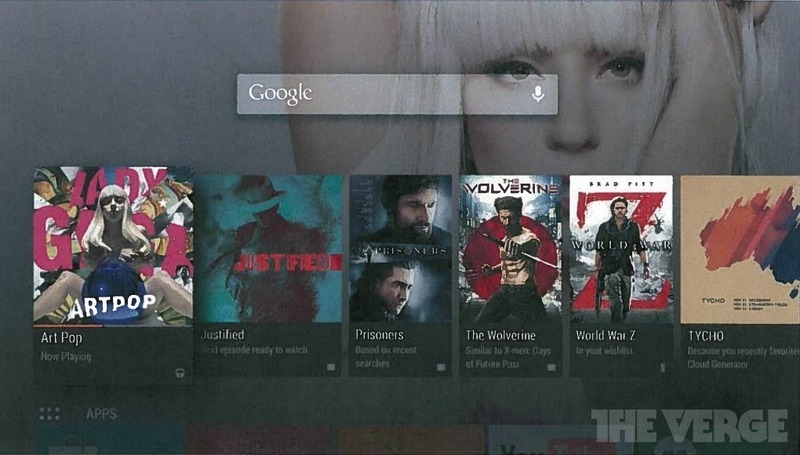 Others found more details of Android code powering a Google set-top box in the Android 4.4.3 changelog. Now anonymous sources tell GigaOM that the device will get a formal introduction, if not a full rollout, at Google I/O in June. According to the report, which comes with no verifiable information of its own, Google will introduce Android TV as its next-generation television platform. As with Google TV, the company will partner with conventional hardware manufacturers instead of building and selling devices on its own. The April leak pointed to a heavy integration with Google's existing movies, television shows, music, and other media on the Play Store, but Android TV will also include an app engine, with apps like YouTube, Hulu, and Netflix making obvious additions. On that description alone Android TV doesn't sound much different from Google TV. The real difference is in the "Pano" card-based interface, which will allow quick tunneling down into content. As a possible example (and a complete speculation on my part): the Netflix app for Android TV could put a link for the next episode in your latest binge right on the "homescreen" of the television. Hints of Pano were spotted in one of our recent Hangouts teardowns - a Hangouts app is featured in the April leak. Other rumored features include robust gaming features and integration with Chromecast, which would allow users to "cast" directly to an Android TV-equipped television or set-top box. GigaOM's report includes quite a lot of "inside baseball" information on conflict between the Android and Google TV (later Chrome) teams, but at the end of the day, it's easy to see why the company would want a TV platform with more power and flexibility than the inexpensive Chromecast. Android TV could be sold relatively cheaply on its own, or integrated into a stand-alone television with the addition of some inexpensive ARM hardware. And considering how Google TV has been largely forgotten and eclipsed by competitors new and old, a clean slate is probably very attractive to Google at the moment.